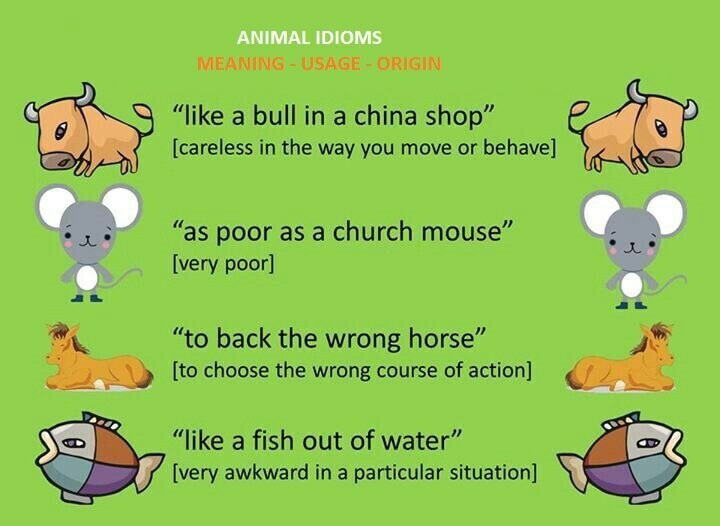 These animal idioms have a lot of history behind them. 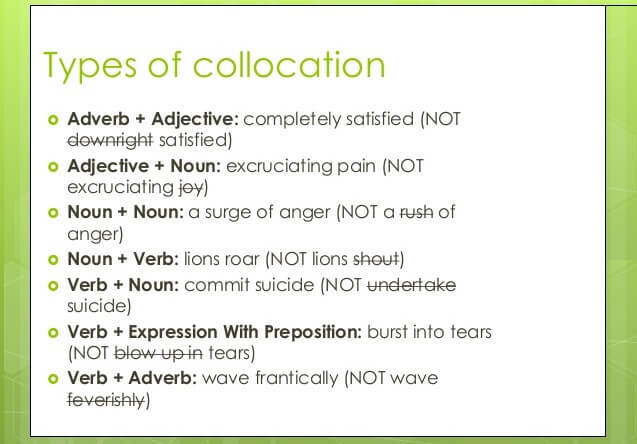 Check their meaning, usage and origins. Sounding more frightening than you actually are. This saying originates in the 17th Century when dogs kept as pets simply guarded houses, and a dog that barked really fiercely always sounded like he would bite a bit off you. But if the dog didn’t really bite, then it was said that his bark was worse than his bite! People who have common interests or habits are usually together. All my friends have the same interests and like to go hiking. I guess we are like birds of a feather flocking together! This is a saying that has been used by man for more than 2000 years. If you observe carefully, you will find that birds of one kind always fly together. You never see a crow flying with pigeons, do you? The most different or odd one out in a group or a family. As David does not study hard like his other brothers he is considered the black sheep of his family. The colour black is associated with evil and a sheep that is all black is rare, especially in a herd of all-white sheep. So a black sheep in a white herd is definitely the odd one out. In the early 1800’s, shepherds thought that black sheep scared off the white ones and therefore favoured them less. Slowly, this saying came to refer to the least favoured person in a family or group. Whenever Roy is in the kitchen he breaks something, so his mother says that he’s like a bull in a china shop! Bulls are clumsy creatures, large and graceless. When they move they always knock things out of their way. This idiom found its way into speech when dishes and plates made out of China (porcelain) were introduced in Europe in the 16th Century. We cannot change the nature of things. Mr. Wilson could not yell at Fred for stealing his mangoes because he is a very gentle and forgiving person. This instance portrays that Mr. Wilson was like a leopard who cannot change his spots. 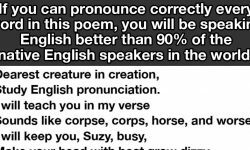 The saying originates from the ‘Bible’. In the book of Jeremiah, there is a verse which says ‘Can the Ethiopian change his skin or the leopard change his spots?’ which means that the basic nature of things does not change, even with changed circumstances? Peter fell down but did not hurt himself. He cried crocodile tears only because he wanted his dad to buy him something. Have you ever seen a crocodile crying? I’m sure you haven’t! Therefore anyone who is crying crocodile tears is just pretending. False warning about a danger that is not real. My brother points to the sky and says he can see rockets flying which are going to crash onto the earth. But none of us ever look up because we know he is crying wolf. Aesop, the famed Greek storyteller, told a story about a shepherd boy who would fool his friends by saying that a wolf had come to eat their sheep. After a few times, when his friends realised that he was playing the fool they stopped believing him. One day the wolf really came. The shepherd boy cried out for help but they thought he was just trying to fool them again and so did not run to help him and all the sheep were eagerly devoured by the wolf. Don’t complain if a gift is not up to your expectation. When Aunt Lara bought Cynthia a beautiful dress, she said she didn’t like dresses with frills. I really think she shouldn’t look a gift horse in the mouth. In the olden days, when horses were used for more than just riding, people would examine their teeth to check whether it was a young strong horse or an old one. But if you were gifted a horse by someone and you examined its teeth by looking at its mouth, then you would be hurting the feelings of the person who gifted it to you. In other words, it is better not to be too choosy or fuss about anything that comes to you as a gift. Johnny always finishes his schoolwork before going out to play. In this aspect, Johnny is an eager beaver. them. 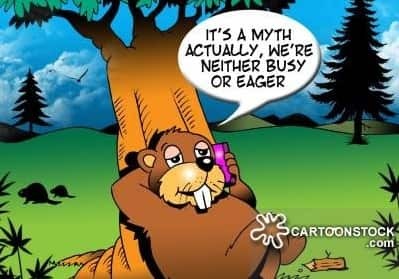 Come rain or shine, the beaver is always hard at his work. This saying became popular in the 17th Century. To be ruined, to fall from a great position. Our rich neighbour’s fortune went to the dogs when his son spent all his money. In the medieval times, food that was spoilt or considered unfit for man, was given to the dogs. Soon man started ascribing this state to his fellow beings, to indicate that a person’s state had become very bad, like that of a dog. When I am impatiently eating the ice cream, Grandpa tells me to hold my horses. To give away or let out a secret. We were planning to bake a cake as a surprise for my mother’s birthday, but little Tim told my mother and let the cat out of the bag. you let the cat out of the bag, you disclosed the trick and people avoided buying the pig. From then on, if anybody let the cat out of the bag, it was said that they were spilling a secret! To make anything sound or look larger than it actually is. When Uncle Benny catches a cold he says he has a raging fever. He’s always making a mountain out of a molehill. that it would be easy to remember and fun to use. Have you seen a monkey? It always jumps around and acts like it is mad. Nobody knows where this saying comes from but to understand its meaning just look at a monkey. because it is raining cats and dogs. 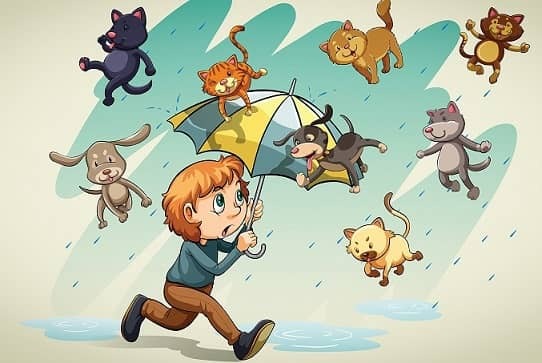 In the 17th Century in England, there were heavy rainstorms and sometimes cats and dogs would drown and would be found lying dead on the roads after the rains. It almost looked like it had been raining cats and dogs. When the company started to lose money, the employees resigned and left like rats abandoning a sinking ship. In the 16th Century sailors had many superstitions. One of them was that if you saw rats leaving a ship when it was docked in the harbour, it meant that the ship would drown on its journey. In the sailors’ minds the rats were supposed to be loyal to the ship, as it had provided them with a home and food. Anyone who changes sides or becomes disloyal is therefore referred to as a rat abandoning a sinking ship. To be suspicious or get a feeling that something is wrong. On observing the thief’s actions, the policeman smelt a rat and realised that the thief was lying and up to something foul. smell to see if it houses a rat. Soon this practice of the cat caught on to imply that if you sniff out something bad, you could “smell a rat”! To be brave in a frightening or dangerous situation. Jeremy caught the bull by its horns when he dived into the well to save the drowning dog. Sometimes at the end of a bullfight the bullfighter will wrestle the bull by taking hold of its horns. A very brave and daring act indeed! This saying therefore, originated from the land of bullfights, i.e. Spain! Someone who looks harmless but may actually be very dangerous. Never trust strangers on the street, for they may be wolves in sheep’s clothing! In a story by Aesop, the famous Greek storyteller, a hungry wolf killed a sheep and wore its skin to get to the flock of sheep and kill some more. The sheep all thought that the wolf was also one of them. The dangerous wolf hid under the sheep’s skin and managed to fool the flock!